With over 30 years of experience Dr. Cordima has helped thousands of patients improve the quality of their life. If you are suffering from the above symptoms our "back pain relief program" may just be the answer for you. Dr. Cordima is the clinical director of Cordima Chiropractic Center. He has extensive experience in caring for spine-related issues, ranging from trauma as a result of accidents and sports injuries, to scoliosis and chronic pain. Dr. Cordima specializes in the treatment and documentation of motor vehicle accident injuries. His primary focus is on creating an accurate diagnosis, prognosis, and treatment plan while correlating causality, bodily injury and persistent functional loss when present. Dr. Cordima understands the intricacies of the medical-legal arena and knows what needs to be documented in order to support the facts surrounding injury, disability, impairment and functional loss. Dr. Cordima is a member of the Academy of Chiropractic and the American Academy of Medical Legal Professionals, which are national medical research organizations that provide the latest research on the diagnosis and treatment of spine related conditions. 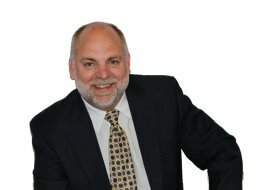 Dr. Cordima offers the latest techniques based on peer review research when caring for his patients, while also drawing from 30 years of clinical experience. Dr. Cordima is supported by a caring, highly trained staff who are dedicated to meeting the needs of their patients in processing insurance, motor vehicle accident, and work-related documentation. 1. In most cases, we will schedule you for an evaluation and treatment on the same day you call. After arrival, you can also expect not to wait in our office for more than a few minutes. 2. We will verify your insurance benefits and/or relay your cost and insurance benefits information prior to treatment. We understand cost can be the primary factor in your health care. 3. After a thorough consultation and examination, we promise to refer you to the proper specialist if your condition is not one in which we can be of help. 4. If your condition is one in which we feel our treatment can help, we will answer all of your primary questions prior to treatment so you can make an informed health care decision. 5. We will explain to the best of our ability the treatment options and how soon it will take to relieve your pain and restore your normal bodily functions. Call our office at (617) 629-2600 for an appointment today! If you've been injured in a car accident we can help! We know how to help you with your injury as much as we know how to work with your attorney. We've worked with hundreds of attorneys and we know how to treat injuries and document your care so that insurance companies give you what you deserve! Sometimes it takes days, weeks and even months before an injury will reveal itself as a pain or symptom. The longer you wait the worse it is for you and the future of your health. Don't delay and call us today. Schedule a consultation with Cordima Chiropractic Center.